Product prices and availability are accurate as of 2019-04-18 08:19:19 UTC and are subject to change. Any price and availability information displayed on http://www.amazon.com/ at the time of purchase will apply to the purchase of this product. 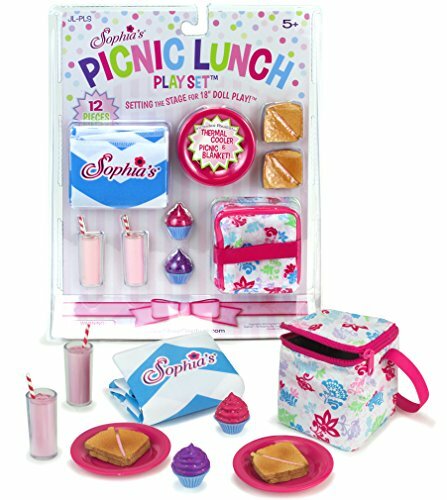 18 inch doll picnic set by Sophia's includes thermal tote bag, ham sandwiches, lemonades, cupcakes, plates, napkins and blanket. Perfect for 18 inch dolls including Sophia's, American Girl ®, My Life As, Journey Girl, Our Generation and more! Doll and Shoes Not Included. 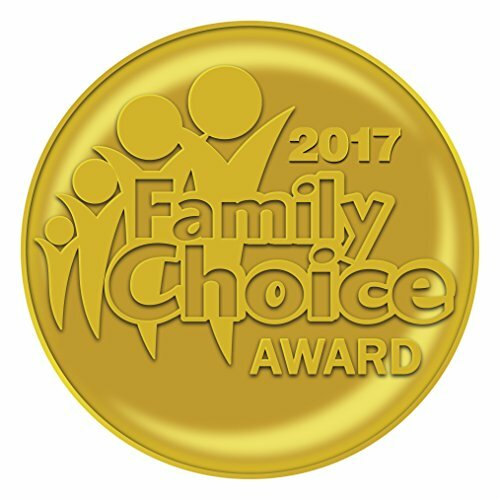 2017 FAMILY CHOICE AWARD WINNER. © 2016 Sophia's- All Right Reserved. Not affiliated with American Girl ®, Red. Trademark of American Girl, LLC. 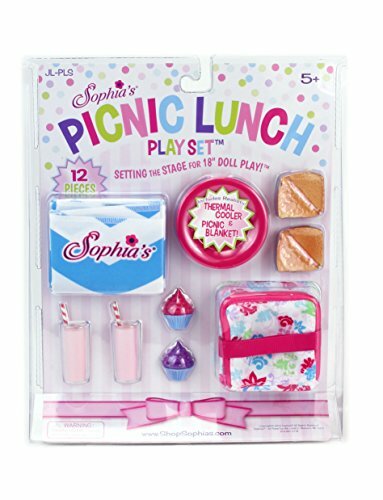 Picnic Doll Accessory Set Perfect for 18 Inch Dolls Such as American Girl ® Dolls & More! 12 Piece Set Includes Cooler Lunch Bag (1), Chevron Blanket (1) Ham Sandwich (2), Pink Lemonade (2), Cupcake (2) Pink Plate (2), Paper Napkin (2) Designed in the USA. 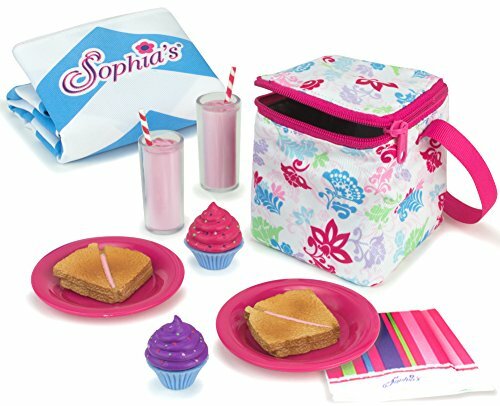 Made by Sophia's, leading doll clothes and accessory maker!